Hi Saul, thank you for agreeing to talk to us. How did you end up directing, Pond Life, Dinosaurs on A Spaceship, A Town Called Mercy and two as of yet unnamed episodes, was there a process or did the executive producers ask you? My agent heard they were looking for directors, so I met with Marcus Wilson, the producer, and then, at a later date, with Caro Skinner, the exec producer, and Denise Paul, the Associate Producer. I also had a long phone conversation with Steven Moffat, who talked to me all about the secrets of directing for Who. Initially I was employed to direct Dinosaurs and Mercy. Pond Life they asked me to direct because I was around already! I also directed the Prequel to Asylum of the Daleks (which I think can be downloaded on iTunes). The other two episodes I got asked to do because I guess the producers liked my work on the first two. 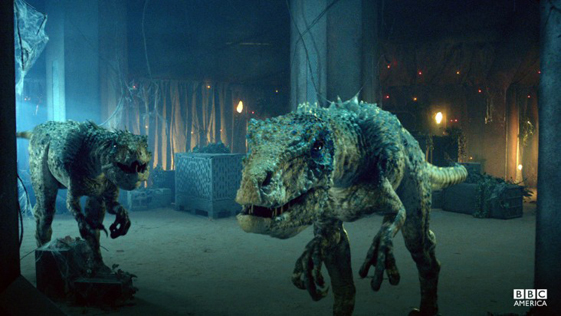 Dinosaurs on A Spaceship and A Town Called Mercy are two very different stories. Were they easy to direct? Did one episode prove more troublesome than the other? I wouldn’t say either was exactly easy to direct, since Doctor Who episodes are shot very quickly (12 or 13 days an episode). But, the scripts were good, and if the scripts are good then that’s half the battle won. The fact that the two stories are very different probably made the directing easier – it kept me fresh. A Town Called Mercy was fun in that every director wants to direct a Western! Also, it’s an unusual privilege to be able to shoot on location in consistent weather with a fantastic standing set. Dinosaurs on a Spaceship was also fun, although the day at Southerndown Beach was physically one of the toughest shoot days I’ve ever done – the weather was hellish, and I’m amazed how much the crew managed to do given the circumstances. Pond Life was a mini web series prequel to Asylum of The Daleks. Did you film all the scenes in a day or did the whole series take the same amount of time as a regular episode? If I remember correctly, Pond Life was shot over 4 or 5 days, although we shot it at the same time as the Prequel to the Asylum of the Daleks. I can’t really remember how much time each them took. You have also directed the second unit on the new Judge Dredd film. How do you feel filming Dredd compares to Who? I’d imagine a lot more action sequences. 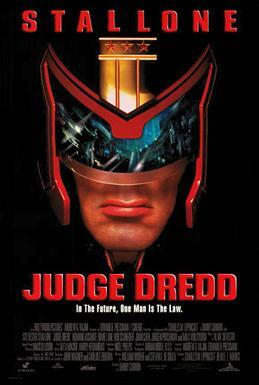 Dredd was shot on 3D, which has all sorts of implications, and tends to slow the process down quite a bit (the camera equipment on 3D can be very cumbersome). Having said that, the schedule was a lot less intense than on a Doctor Who episode, so I think on balance Doctor Who is tougher to do. The shooting styles are very different – Doctor Who needs many more set-ups. What would you say to any young directors out there who want to direct things like Doctor Who and say Star Trek for example but don’t know where to start? That’s a tricky one, to be honest. I had been directing for a long time before directing Doctor Who, and I wouldn’t say that anything in my CV necessarily points to me becoming a Doctor Who director. But, in terms of getting starting – make short films, work on scripts. Have you always wanted to be a director or did it come about later in life? I probably first thought of directing in my late teens. You were director on the as yet unnamed episode of Series Seven which features new companion Jenna Louise Coleman and actress Dianna Rigg. Do you find it interesting to work with someone who is slightly newer to the acting profession and someone who has had many years of experience in the same production? Jenna isn’t new to the acting profession – she’s young but pretty experienced. One of the fun things about doing Doctor Who is that the actors tend to know what the show is like and what they are letting themselves in for. As such, in my experience, they come to it pretty well prepared. This is a rather silly question but one I know everyone is thinking: What was it like working with the Dinosaurs on Dinosaurs on a Spaceship? As long as the dinosaurs understood their characters’ motivations, they were a pleasure to work with. Some of the scenes in Asylum of the Daleks were filmed on top of the mountain range not far from the set of A Town Called Mercy, did you direct the scenes or did Asylum director Nick Hurran fly out to direct the scenes? Nick flew out to direct these scenes (which I think look great). A Town Called Mercy is very much a location set episode; did that make it easier to film or harder? Much easier. We had consistent light, and you could more or less shoot in any direction. It was like shooting on an enormous set, because it was so controlled (no stopping traffic etc.). Do you have any plans to return to directing Doctor Who? It’s up to the producers if they want me back. Any future projects that you are working on you can tell us about? I can’t really tell you much about them I’m afraid. There is a romantic comedy I’ve been working on, and something a bit like The Truman Show that I’ve wanted to make for a while. Thanks for speaking to us Saul, it has been a pleasure. Thank you so much for this, it is always interesting to find out what goes on ‘behind the scenes’ so to speak. It’s nice to hear about the show from a director’s point of view also. Earlier this week, the junior member of Loony Literature, Will, interviewed Saul Metzstein, director of top British television series, Doctor Who.